SCBC has finished assembly of its first unit of corner-tube boiler, which is ready for delivery to Karachi of Pakistan. This 85t/h oil/gas fired boiler adopted the ERK technology of Germany, and ASME codes were followed for its design and fabrication. 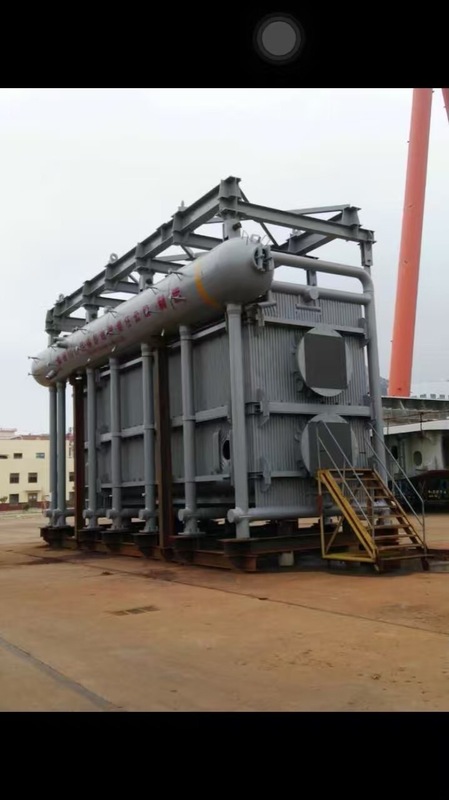 The drum, water-cooling system, evaporator, superheater, connection pipeline were entirely assembled, and handed over the assembled boiler to the client at the dock. 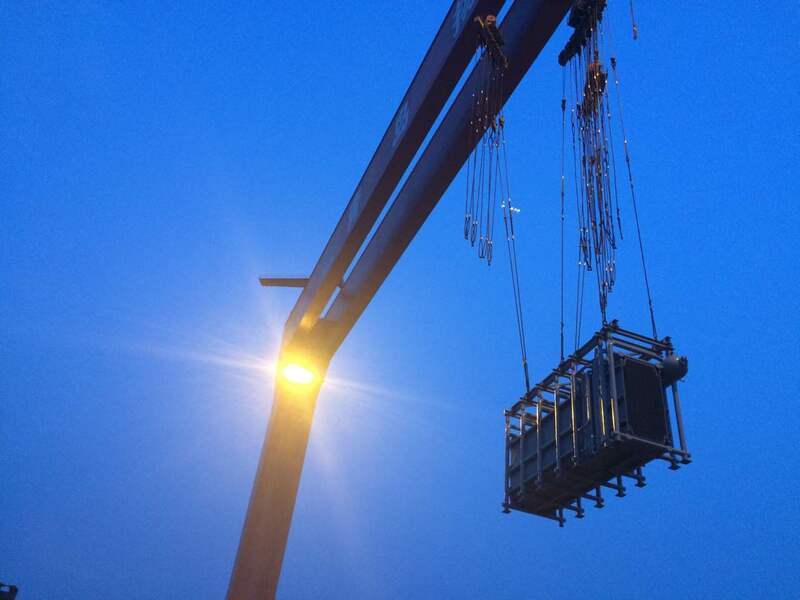 The overall dimensions of the assembled boiler is 14930mm(L) X 5420mm(W) X 6920mm(H), and is 135t in weight. The modes of boiler assembly and handing-over were also the first time for SCBC to adopt in its history.